Authentic rice based dishes from around the world. 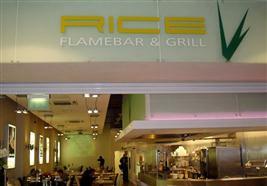 The birth of RICE took place in 2005 with its flagship restaurant in the heart of Piccadilly Gardens, Manchester. The unique concept of RICE was derived from vast travels of the world bringing to your palate authentic, savoured rice based dishes. 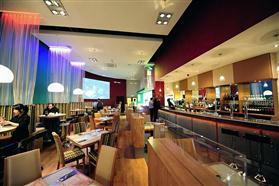 We offer an enthralling selection of world cuisine from the traditional Jamaican Jerk Chicken to an exotic Thai red curry. All our main dishes are combined with a choice of rice or rice noodles from across the globe, for example: Indonesian Coconut rice, Hopping John rice and Thai stick noodles. The use of open plan kitchens in every restaurant provides not only a theatrical culinary experience but ensures the use of only the freshest and finest ingredients, creating a delightful experience for all the senses. Fresh, fast and nutritious food with no compromise on taste.